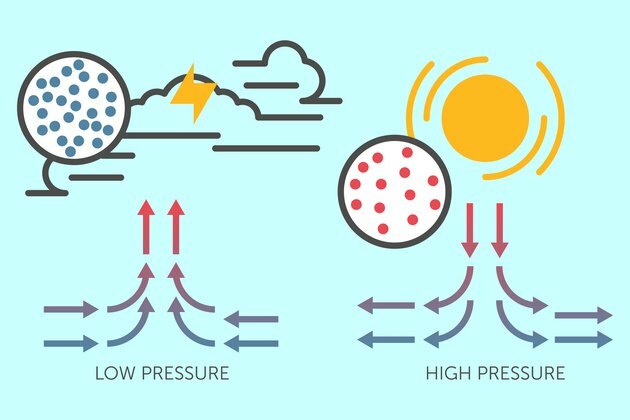 Atmospheric pressure is the force exerted by air molecules as they bump into each other and surrounding surfaces, which translates to the weight of the atmosphere over a particular location. The measure of this weight, taken using a device called a barometer, is referred to as barometric pressure. It is an active, ever-changing phenomenon that varies with the time of day, altitude, latitude and weather conditions. High barometric pressure is associated with calm weather, whereas low pressure usually brings stormy weather. As air cools, the molecules pack together, making it denser and thus increasing the pressure. This dense air presses down on the air beneath it, causing that air to grow warmer. Conversely, as air heats, its molecules move apart, making it less dense. This low-pressure air rises to create fast-moving, volatile, warm air fronts which are pushed higher into the atmosphere by denser, cooler air columns underneath them. 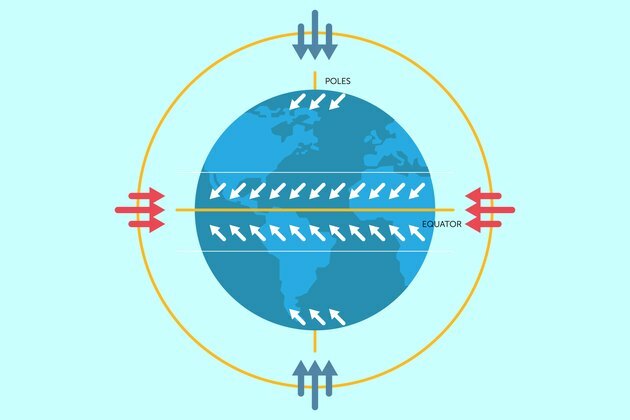 As Earth rotates, these different pressure systems move in a characteristic pattern called the Coriolis Force, which produces the atmospheric jet streams that bring different weather patterns to different regions of the planet. 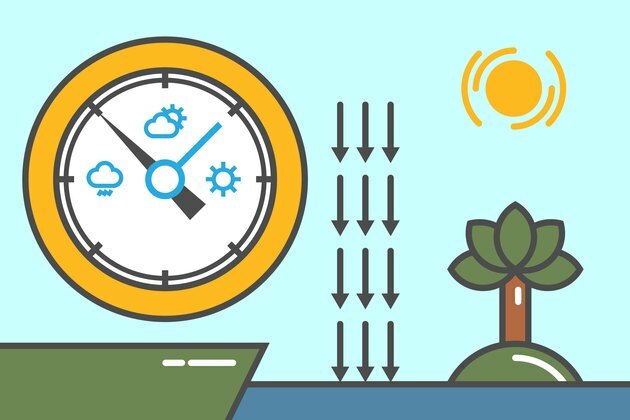 Barometric pressure is subject to a daily cycle based on heating by the sun, followed by cooling. Pressure usually peaks around 10:00 am and 10:00 pm, and reaches its nadir around 4:00 am and 4:00 pm. Extremes in daily pressure highs and lows are greatest near the equator, and lower towards the poles.